Replacement Canopy for Quad Fighter | QFO Labs, Inc.
Posted January 16th, 2014 by admin & filed under . 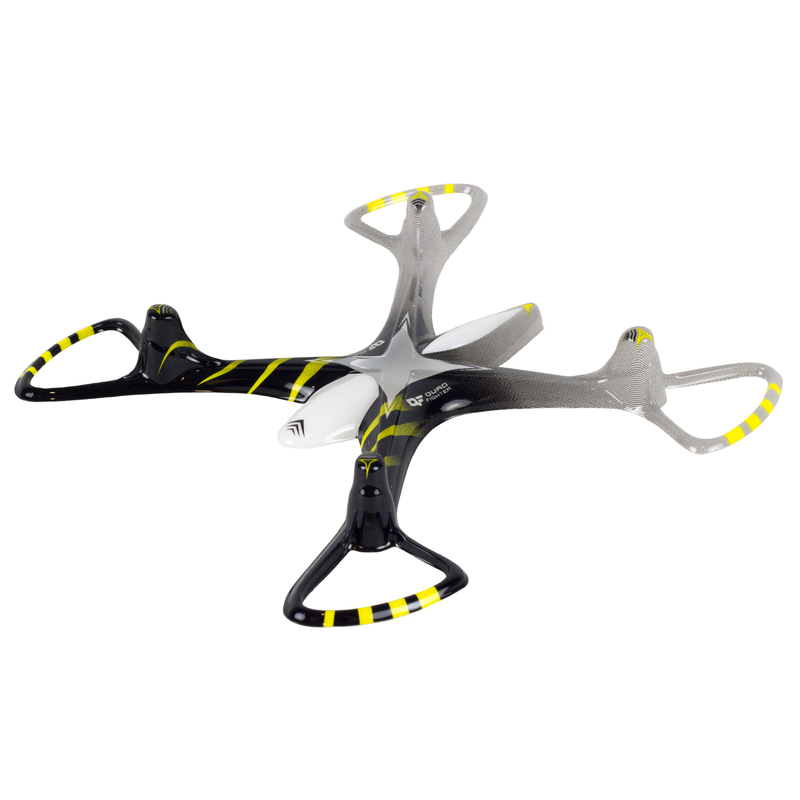 The canopy of the Quad Fighter is made from ultra durable polycarbonate plastic. This is the same plastic used to make football helmets. However sometimes crashes cause kinks and breaks. Replace the canopy to make your Quad Fighter look like new. Have a damaged canopy on your Quad Fighter? Replace it – no tools required. To remove pinch the canopy around the motor allowing the canopy to be released from the retention pin on the end of the arm. Repeat this for each arm and lift the canopy off the arms. To replace, simply press the new canopy onto the arms and allow the holes to snap over the retention pins.